Deliver topic-based PDFs and multimedia web guides that are more intuitive and make it easier for users to navigate and find the information they need. Support the broad range of devices users rely on to access Blue Coat’s online guides–from desktops and notebooks to mobile phones and tablets. Facilitate more efficient development and delivery of Blue Coat’s guides through content re-use and single-source, multichannel publishing. Efficiency - Topic-based single-source publishing facilitates content reuse and streamlines delivery of multiple guides as online Help and PDFs. Easy Customization - Variables, cascading style sheets and skins enable Blue Coat to customize content, as well as the look and feel, for different versions of its documentation for the company and OEMs. Innovation - Snippets, top navigation and drop-down text in Flare enabled Blue Coat to think out of the box in creating an intuitive deployment mode wizard without software programming. Intuitive User Experience - Responsive design and top navigation provide a modern Web experience for desktop and mobile users, alike. Links to PDFs and training videos on YouTube within web guides let users learn the way they want to. Blue Coat Systems, recently acquired by Symantec, provides advanced web security solutions for global enterprises and governments–offering protection against cyber threats on the network, on the web, in the cloud and on mobile devices. To help customers deploy its security solutions quickly and effectively, Blue Coat delivers a range of guides. Today, Blue Coat relies on the single-source, multi-channel publishing functionality of MadCap Flare to deliver these guides both as PDFs and as responsive HTML5 Help that automatically adjusts to users’ screens, from desktops to mobile devices. The HTML5 responsive design feature in Flare is fantastic. With a single output, I can produce content that looks great on smartphones and tablets, as well as laptops. This is important given how many people view everything on mobile devices today. The Blue Coat technical writing team also turned to MadCap Flare to drive innovative new ways of assisting users. Most notable is an award-winning, interactive web-based wizard that directs each user through the right deployment process for his or her solution. 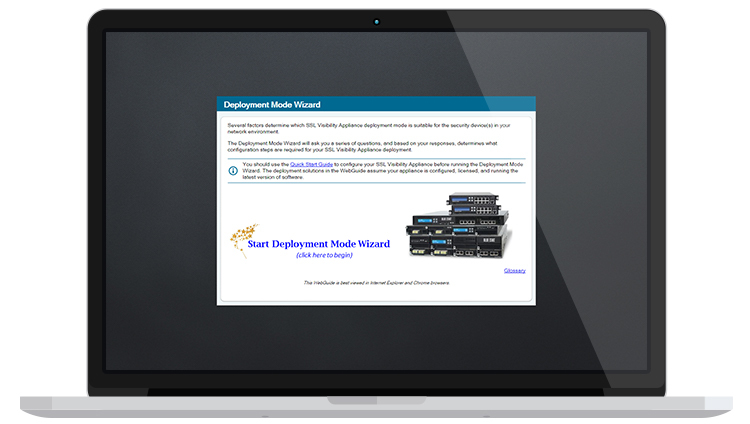 This deployment mode wizard was developed by Rebecca Altman, a principal technical writer at Blue Coat. Her project, developed in Flare 11, won the Distinguished Award in the Society of Technical Communications competition in 2016. For years, Blue Coat employed Adobe® FrameMaker® to produce traditional PDFs, including in-depth solution guides and quick-start manuals. Then by using WebWorks, the company converted these longer solution guides into online documentation. However, as the company’s product line continued to grow, so too did the number and size of the guides required to support the solutions. Blue Coat realized the need for a more efficient approach to creating and delivering content. To zero in on how to better serve customers’ needs, Blue Coat technical writers interviewed customers during on-site training to get feedback about the usability of the guides. Those users’ responses confirmed the concerns that the guides were too large and complicated to navigate. Customers wanted an easier and quicker way to search for information. Variables, skins and CSS editing are amazing features that allow me to generate the OEM versions of our guides within 30 minutes. This has been a real time-saver and would have been impossible to do without Flare. With user feedback in hand, the Blue Coat team decided to move away from creating large, linear book-style guides to creating topic-based content. Not only would it be easier for users to find the information they needed; it would also allow topics to be reused in different contexts in print and online. New business development at Blue Coat in 2008 also translated into the need to approach its guides differently. Until then, Blue Coat was delivering security appliances, but that year the company began rolling out its first cloud security service to complement their on-premises offerings. Now Web-based Help that worked with the cloud service would be as important as providing PDF guides. A search of software that supported topic-based authoring and single-source publishing to online and print outputs quickly led Blue Coat writers to MadCap Flare. Today, Blue Coat’s technical writers take advantage of features in MadCap Flare to create dynamic, topic-based web guides for its security solutions. One of the largest projects supports the cloud-based Blue Coat Web Security Service. 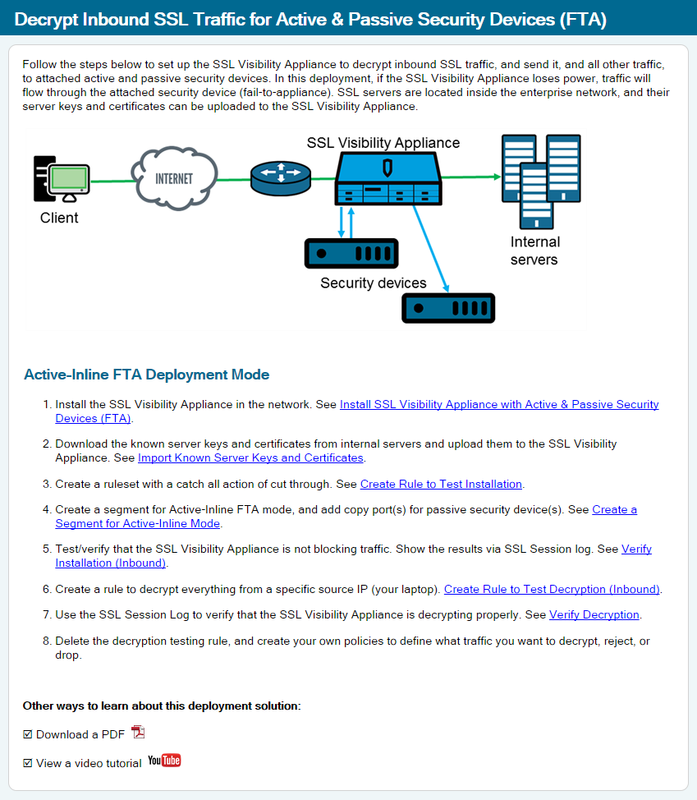 There MadCap Flare is used to produce four web guides covering deployment, solutions, hosting, and release notes. Complementing the web guides are targeted PDFs covering specific topics, which are delivered using the single source, multi-channel publishing capabilities of MadCap Flare. With the focus on delivering web guides that complement the Blue Coat Web Security Service, three other features have played an important role: responsive design, integrated video, and a search bar. 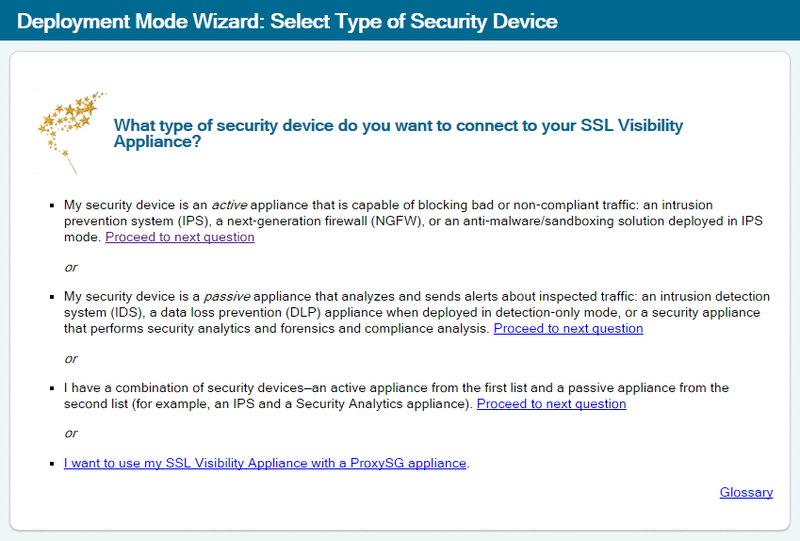 Flare really allowed me to experiment and create an innovative wizard that makes our web guide more user friendly. Blue Coat was one of the first companies to take advantage of the HTML5 responsive design functionality first delivered with MadCap Flare 10. Using this feature, Blue Coat has been able to create web guides that automatically adjust to users’ screens–from large desktop monitors, to notebooks, tablets and smart phones. The Blue Coat web guides also rely on MadCap Flare’s ability to embed links to training videos that the company has published on YouTube, as well as to the targeted PDFs. Additionally, using MadCap Flare, Blue Coat provides a Google-like search bar on every page of the guide. This allows customers to easily search terms and quickly get to the topic they want. The Blue Coat team also relies on features in MadCap Flare to foster innovation and support customization. Among these are top navigation, variables, skins, cascading style sheets, and master projects. In 2015, new functionality in Flare 11 allowed Blue Coat to move away from the traditional tripane format of online Help sites to the frameless top navigation output for HTML5 that looks more like a modern website. The top navigation skin in Flare was just perfect for the wizard project. It really helped to provide a clean, intuitive and modern layout. Blue Coat also relies on a combination of skins and variables created with MadCap Flare to customize different product guides for Blue Coat’s original equipment manufacturers (OEMs) who white label the solution. Additionally, Master projects enable other Blue Coat technical writers to take advantage of innovations from other team members and apply them to their own guides, using CSS editing to customize and arrange content as needed. “With master projects and CSS editing, our team can focus more on creating enriching content to help users focus on solutions instead of constantly formatting and reformatting like before,” noted Freeman. 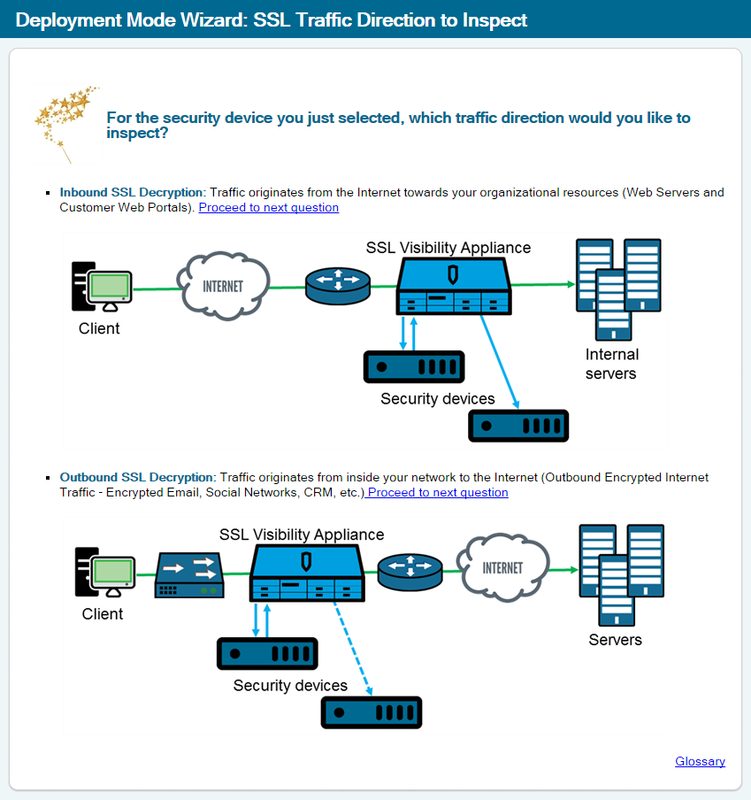 Two Flare master projects maintained by Blue Coat are the one created for the Blue Coat Web Security Service and another for an award-winning web-based deployment wizard. 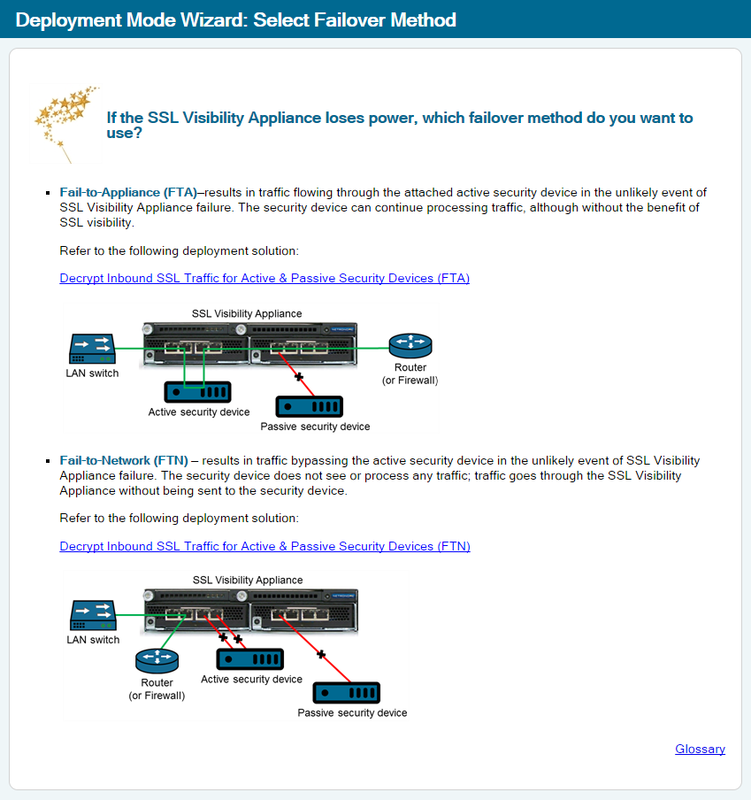 In 2015, Blue Coat’s Rebecca Altman used Flare 11 to create a deployment mode wizard included with the company’s “SSL Visibility First Steps WebGuide.” Since the documentation was so popular with Blue Coat employees and customers, Altman’s boss encouraged her to enter the project into STC’s technical communication competition. Her documentation received the highest level award. The project was first initiated because the existing 200-page admin guide lacked end-to-end steps for each deployment option. Customers often called upon Blue Coat field engineers to help them, a time-consuming and costly process for the company. Blue Coat’s World Wide Solutions Architect requested a wizard-like solution that would take users through a series of questions. Based on their answers, this wizard would provide a well-defined, compact list of steps for their particular deployment. Although wizards are typically created by coding software, the lead writer responsible for the project simply used MadCap Flare. “I had to think outside-the-box to create a wizard in Flare. The solution was to create hyperlinked topics with MadCap Flare snippets to address the different branches that the wizard might take, depending on how users answered the questions,” explained Altman. This was possible, because there were only minor variations in the different types of deployment processes, and snippets removed the need to retype content. Extensive use of drop-down text, which collapses sections of text under links in the topic, ensured that users would not be overwhelmed when they looked at the screen. Equally important, the use of top navigation in Flare provided a modern web look and feel. The result was an intuitive web-based wizard, built with Flare, which acted like a software program and directed users to the specific instructions they needed to deploy the appliance. As Blue Coat explores how to expand its use of Flare, Freeman and other Blue Coat technical writers have begun to incorporate Altman’s award-winning wizard into other projects.